IBC Advanced Alloys Corp.(IBC) has successfully delivered its first completed Beralcast azimuth gimbal housing components to Lockheed Martin. 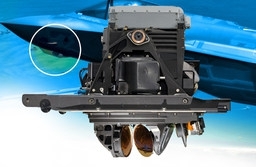 The articles will be used in the Lockheed Martin F-35 Lightning II Electro Optical Targeting System (EOTS). Lockheed Martin’s EOTS provides affordable, high-performance multi-function targeting to the F-35’s full spectrum of military operations. It is the first sensor to combine forward-looking infrared and infrared search and track functionality to provide F-35 pilots with situational awareness and air-to-air and air-to-surface targeting from a safe distance. The technology enables aircrews to identify areas of interest, perform reconnaissance and precisely deliver laser- and GPS-guided weapons. The first contract for Beralcast azimuth gimbal housing components for OEM aircraft fitted with EOTS systems and spares for low-rate initial production (LRIP) Lots 7 and 8 was announced September 8, 2014. Beralcast alloys are ideally suited to many aerospace applications where lightweight, high modulus and cost are critical performance factors. The principal Beralcast alloys are three times stiffer than aluminum with 22% less weight and can be substituted for aluminum, magnesium, titanium, metal matrix composites as well as pure beryllium or powder metallurgy beryllium-aluminum.